Our dental office wants you to expect more from dental care. While most of our patients come to realize the value and having their teeth examined and cleaned on a regular basis, you should think beyond these teeth cleaning appointments. As a dentist, we understand the true value of maintaining your natural teeth and gums throughout your lifetime. It is your teeth that allow you to eat your favorite hamburger, to snack on crunchy carrots, to speak clearly, and to smile with confidence. It is our services that allow you to have a smile that looks beautiful and functions as you age. We encourage you to visit us regularly and often, so we can provide you with the tools and solutions you need. When you visit our office, you can count on us to not only examine your teeth and gums for your current health but also look to the future. We take the time to identify signs of early decay before it actually turns into a cavity. This allows us to treat your teeth today so you never have to experience an unfortunate toothache brought on by a sudden infection. Simultaneously, we will let you know if it appears that your gums are swollen and if gum disease is a possibility. At this point, we can do things like suggesting you use a particular antiseptic mouthwash, show you how to floss properly, or even make suggestions for how you should change the way you brush your teeth. These solutions and suggestions can work together to help prevent some of the common dental issues that tend to plague people as they age. By thinking and planning ahead, we can help you be healthy so you can live a life that is truly exciting for your teeth. Imagine a future where you do not have to wear dentures, where your natural teeth remain intact and you smile with confidence on your 65th birthday. Imagine a life where you can see a dentist as soon as you need to, so you never have to experience the agony of a weekend toothache. When you visit our office to see a dentist, this is the reality you can aspire to, not just a dream. By providing you with regular comprehensive care, we can make it possible for you to maintain healthy and strong teeth even as you get older. Simultaneously, by offering flexible and convenient appointment times, it is very rare for our patients to have to wait to receive the dental care they need. This means you do not have to live with dental discomfort if an emergency situation arises. Our goal is to be a true partner in healthcare so you can see a dentist who you know will work with you exactly when you need them to. You can expect a lot out of us, and we promise to do our best to deliver every time. 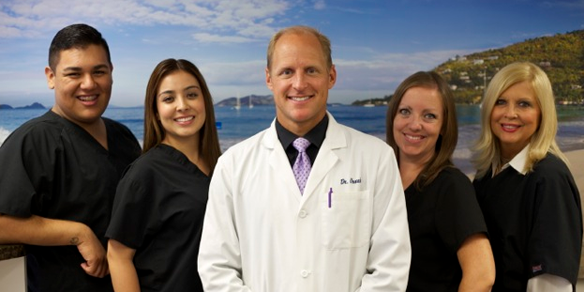 Request an appointment in our Costa Mesa dental office here: https://vanekdentistry.com. Or call us at (714) 545-7157 for more information from Vanek Dentistry.